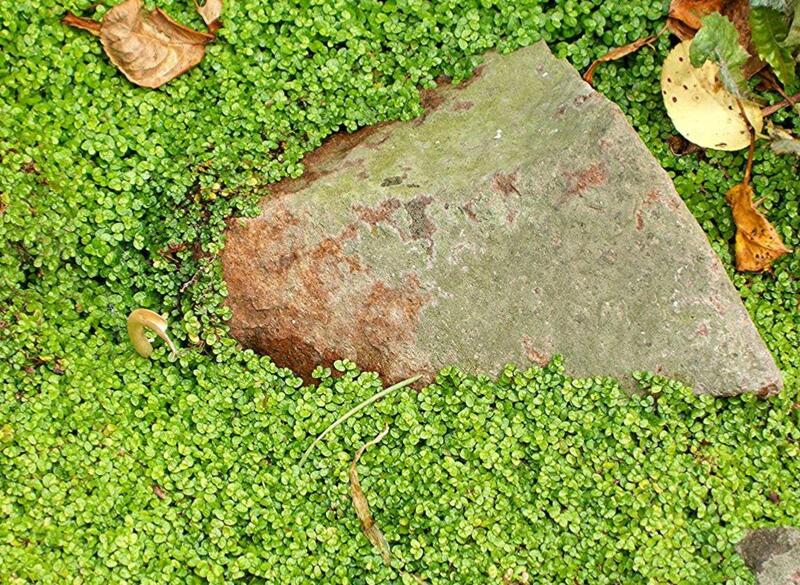 Best known as an indoor plant in Victorian times, baby's tears, or mind your own business - Soleirolia soleirolii, makes an attractive and maintenance-free alternative to grass as ground cover in moist, shady areas. It will tolerate sun or shade. Frost hardy, its leaves are killed by winter frost, but it will recover to grow vigorously in spring. The masses of tiny leaves clothe slender spreading stems that root as they run, forming a dense deep-pile carpet. As it covers the ground it will run over rocks, fallen logs, and so on, clinging to their shape so the features of the landscape are picked out. Quick to establish, it survives periodic dry spells and recovers quickly afterwards. 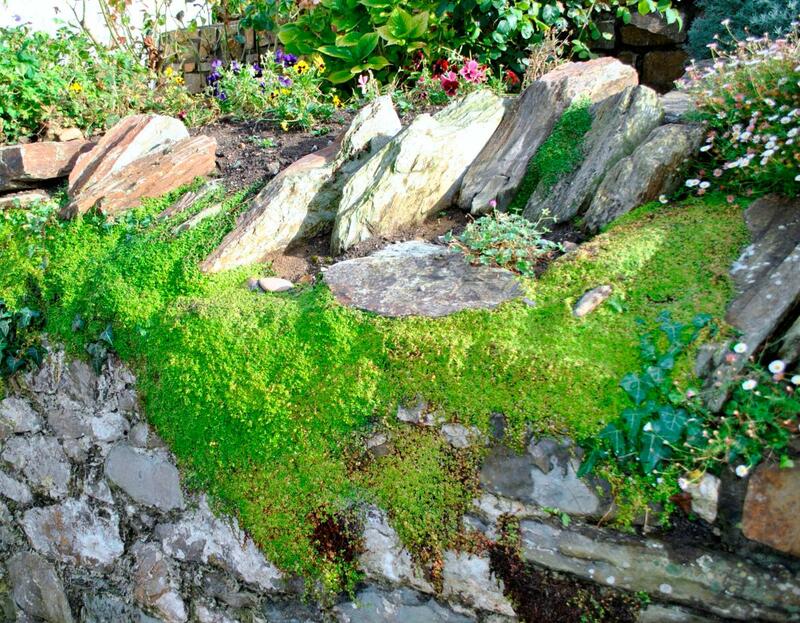 It is a superb substitute for moss in a Japanese garden or shady courtyard.